Coverage for all cultured granite vanity tops lasts from 3 years from the original date of purchase. For more information please call 1-855-216-2292. Transform your bathroom with Bellaterra's engineered Taupe quartz cabinet top. Our solid surface top provides functional beauty for any bathroom and is polished and sealed with the highest quality. Faucet and mirror not included. Professional installation recommended. 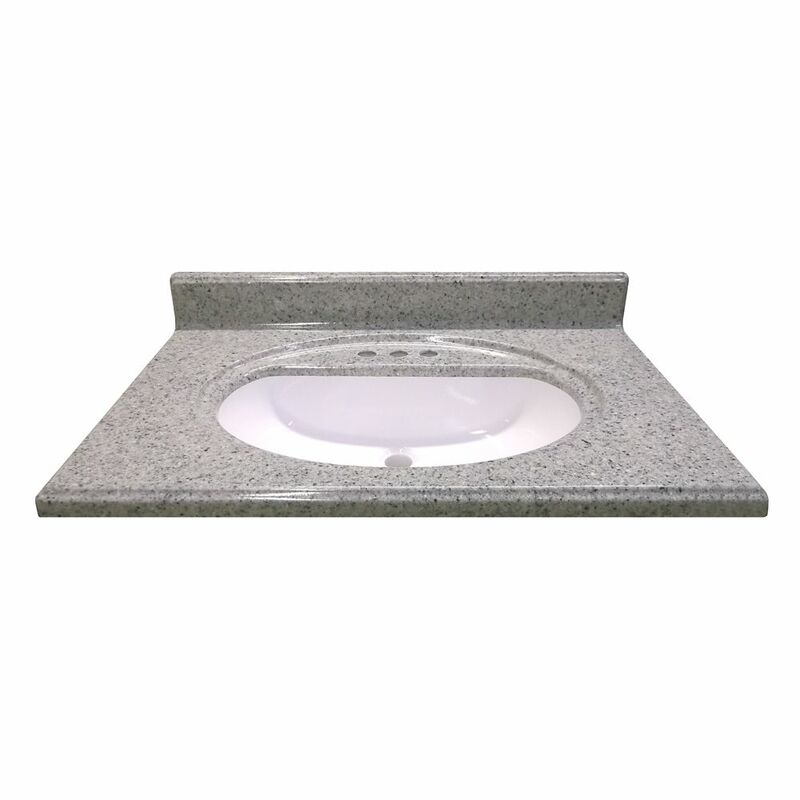 31-Inch W x 22-Inch D Cultured Granite Vanity Top in Luna Moonscape with Recessed Bowl Add a sophisticated look to your bath. Our cultured surfaces provide durability and a heightened resistance to thermal cracking.